Holmes Air Purifier only $4.94 after Coupon! 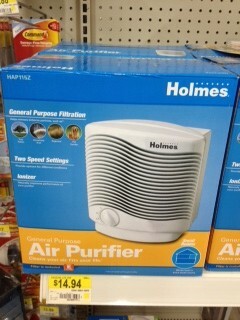 You can get an awesome deal on a Holmes Air Purifier at Walmart with this new coupon! Click here for coupon. NOTE: There's also a $20 off $50 coupon here.